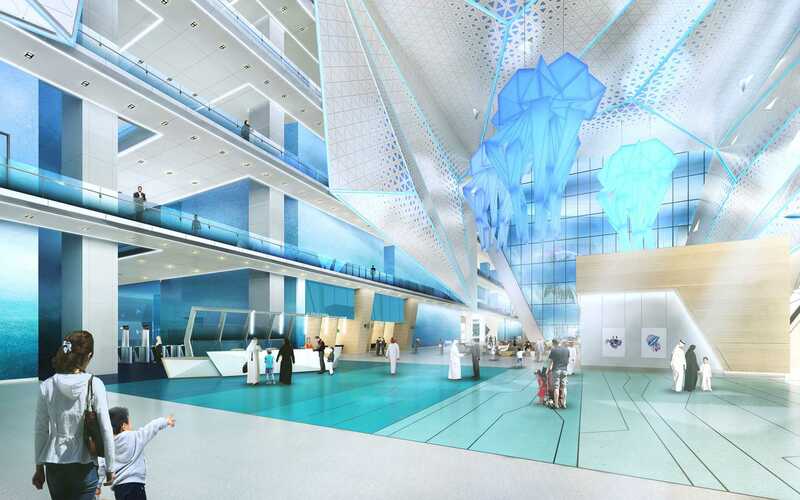 To design the largest children’s hospital in the world, of significance to national, regional and global health care precedence. 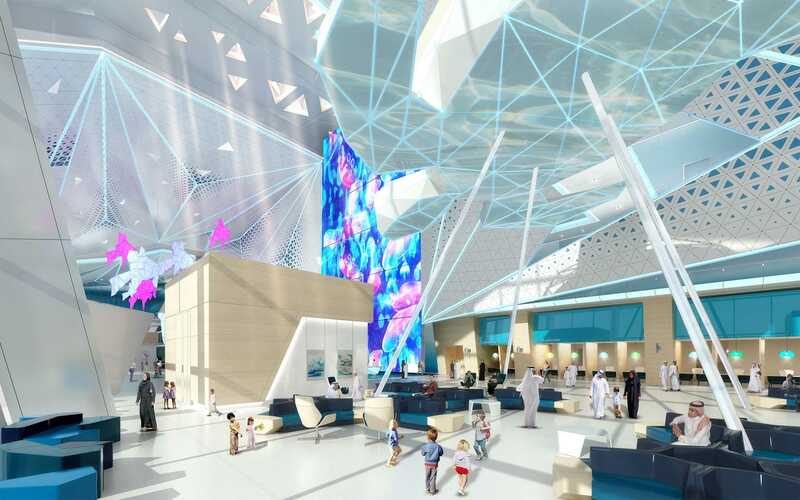 It is the first consolidated pediatric care model in the Middle East, designed experientially, through variance in scale. HKS architects proposed a crystalline design connecting the historic traditions of science, healing, and the life-supporting nature of water. The podium’s solid masonry shell wraps the precious treatment functions it protects. The healing tower rises above with a glimmering façade of facetted metals and glass, reflecting and filtering light through a layered shade screen. 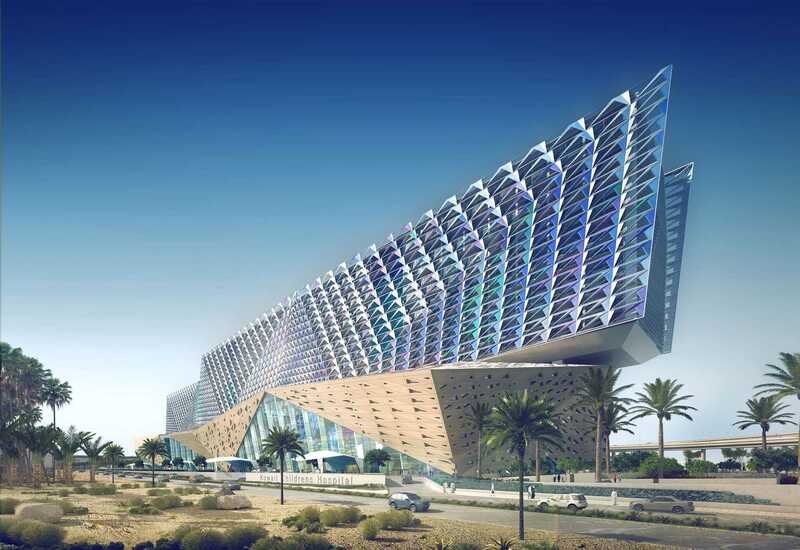 Building surface materials—masonry, metal, and glass—and their treatments respond to the harsh environmental conditions of the desert. Penetrations in the skin allow windows and ventilation points, each derived from the triangular crystal form of the overall concept. Inpatient rooms are located on both east and west faces of the Ward Tower. They are accessed from the rest of the hospital by central vertical circulation cores which handle and separate patient, visitor, staff, and service access. Each bedroom, thanks to its non-orthogonal geometry, has a directed view to the sea and they can accommodate two family members to stay overnight with the patient. 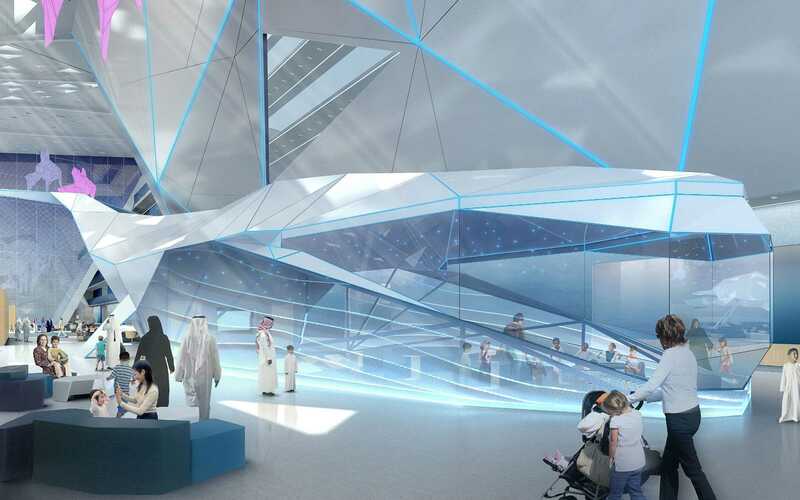 Public areas include a 375m-long (1,240 feet) enclosed atrium, 30m in height. 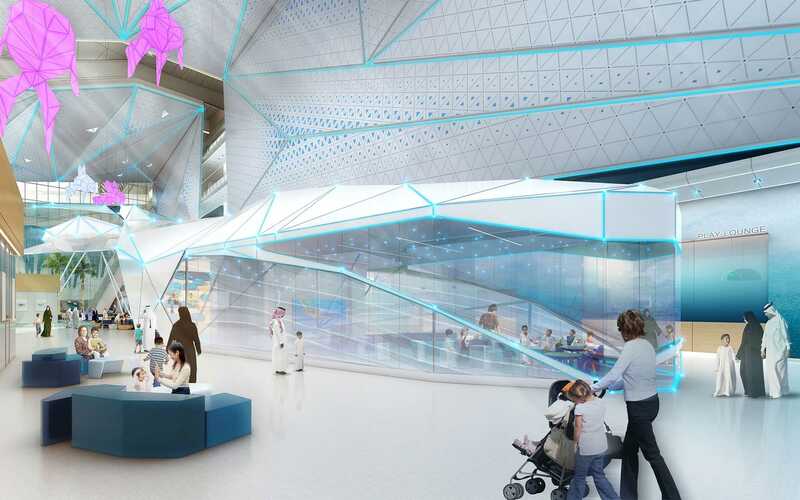 The atrium is conceived as an underwater scene of larger-than-life sea creatures that become ambassadors for the patient journey. “The Great Sea Adventure” tells the story of the local Kuwaiti marine ecology and an oceanic heritage. Illuminated fish suspend from the ceiling, occupiable turtles sit upon puppet-like stilts and are accessed from the upper floors across bridges. A blue whale hosts a sibling play area and gaming theatre while a shark contains one of two public cafes. The atrium was designed not as a health care environment, but akin to a civically-scaled entertainment complex intended for community engagement, positive distraction, and national pride. 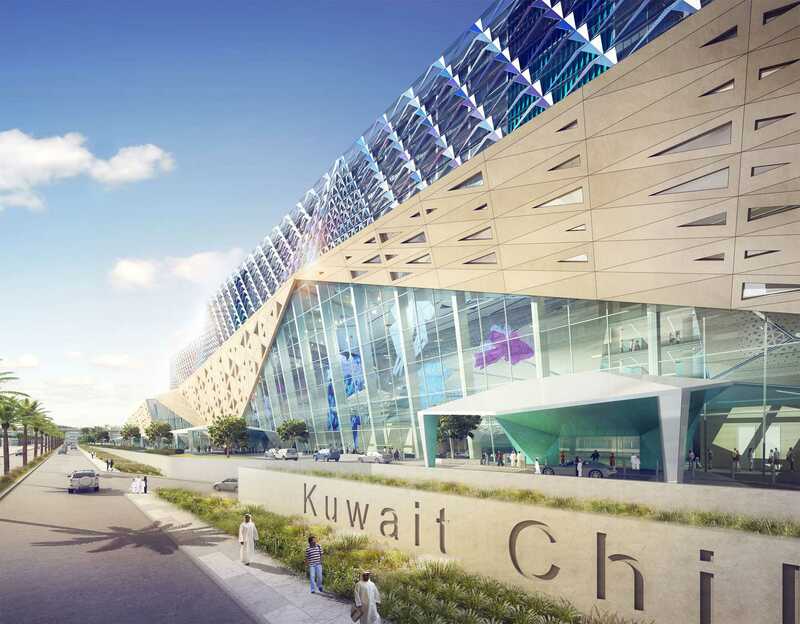 Kuwait Children’s Hospital is positioned to be the largest children’s hospital in the world at 595,000 square meters (6.4 million square feet) and was delivered with a forward-thinking design that incorporates state-of-the-art technology and energy conservation. 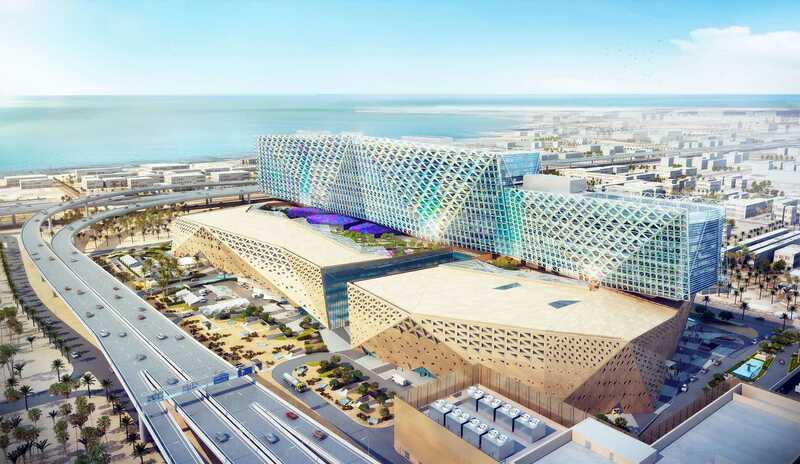 The 120,774 square meter (1.3 million square foot) site sits by the sea in the Sabah Health Region of Kuwait City.